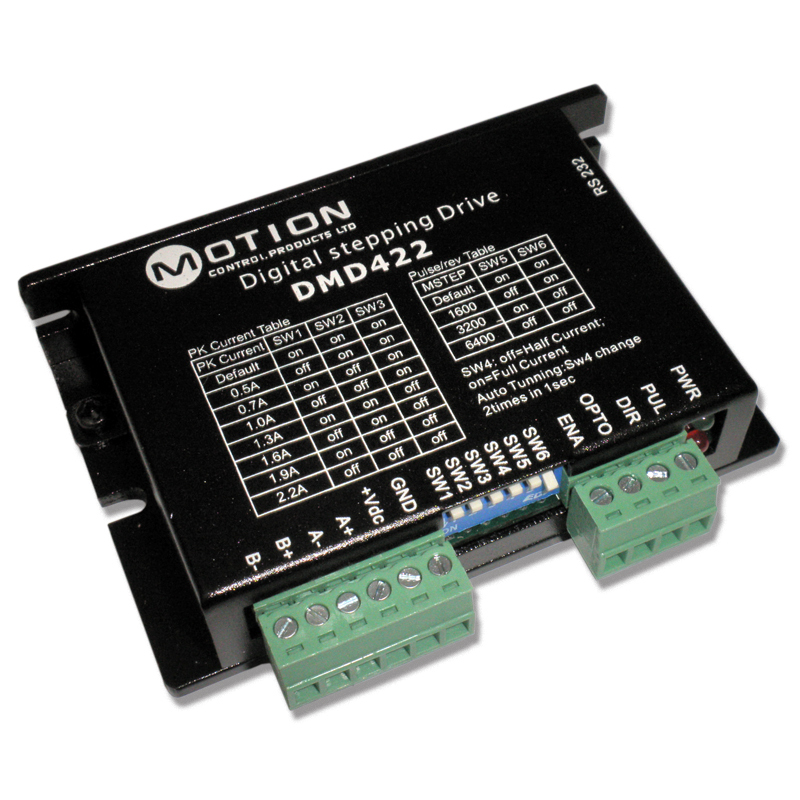 The DMD422 (DM422) is a fully digital microstepping drive based on a DSP with advanced control algorithm. It brings a unique level of system smoothness, providing optimum torque and eliminates mid-range instability. Motor self-test and parameter auto-setup technology offers optimum matching with different motors and ease of use. The driven motors can run with much lower noise (reduced by up to 70% of original value), less heating, smoother movement than most of the stepper drives on the markets. Its unique features make the DMD422 an ideal solution for applications that require low-speed smoothness and optimum performance, such as laser cutters, laser markers, high precision X-Y tables, labeling machines and so on.